Ideal for use with most home and office appliances. 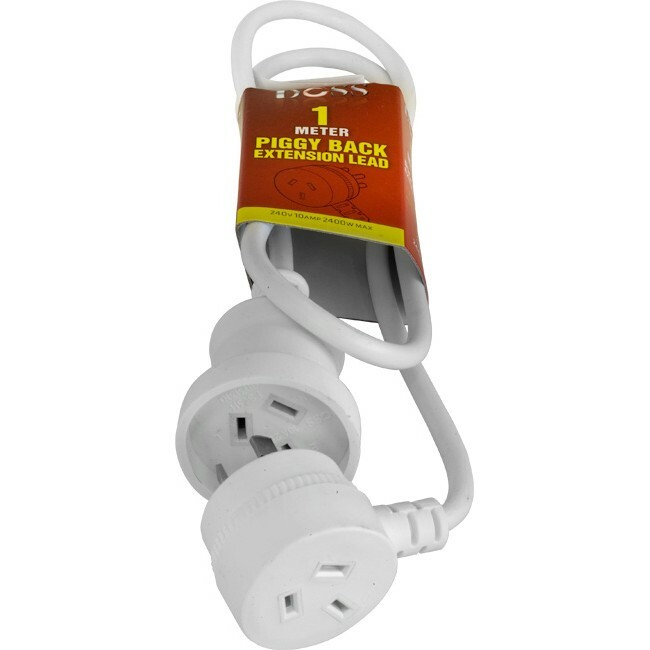 ‘Piggy Back’ style allows you to plug in an additional applicance. 3 Core 1.00mm2 ordinary duty cable with moulded 10 amp plug and socket. Approved and manufactured to Australian Standards. Available in 2m (EXLPB2M) and 4M (EXLPB4M) lengths.